California’s economy is booming - it’s now the 5th largest in the world – even as the state implements rigorous climate statutes that cover nearly every sector. In its aim to reduce greenhouse gas emissions by 40 percent below 1990 levels by 2030, California put in place a cap and trade system, a Renewables Portfolio Standard for electricity, progressive advances on clean cars, the low carbon fuel standard, energy efficiency programs and incentives to farmers to capture or reduce methane emissions, and more. But there is one source of GHG emissions that’s been missing from this list: what to do with GHGs from the natural gas-powered heating and water heating systems in California’s 13 million homes and commercial buildings. Last week, the California Senate and Assembly each voted to move forward a set of bills to address “building decarbonization,” signaling the California legislature is taking this component of the climate puzzle seriously. The legislature has until September to pass them out of their second house. If adopted, these bills would close an important gap in California’s efforts to clean up the air and reduce emissions. Furnaces and water heaters that run on natural gas and propane account for 40 percent of emissions from buildings. And buildings, in turn, produce a quarter of California’s emissions. Like many of California’s climate laws, Senate Bill 1477 and Assembly Bill 3232 are market-oriented policy approaches designed to spur innovation. SB 1477 would require the California Energy Commission to develop incentives for the private sector to innovate new water and space heating equipment that produce lower or no emissions and design lower-GHG emitting buildings, with such things as smart energy management systems or energy storage technology. It would set up a Low-Emissions Technology program to issue those incentives, using a portion of money raised from carbon allowances purchased by electrical and natural gas companies. A companion bill, AB 3232, “zero emissions buildings and sources of heat energy” would direct the state Energy Commission to study the feasibility of reducing GHG emission from the state’s residential and commercial building stock by 40 percent below 1990 levels by 2030 – potentially setting its emissions reductions in line with the state’s overall emissions reduction goal. It would also require the commission to regularly report on GHG emissions produced from supplying energy to the state’s residential and commercial buildings. The bills had garnered support from a broad coalition of environmental groups, cities and a host of businesses. Seven major corporations in Ceres network of Business for Innovative Climate and Energy Policy (BICEP) wrote letters to the legislature urging passage of these bills. SB 1477 and AB 3232 bank on an approach that has worked in California climate policy before: encouraging market innovation. That is one reason companies doing business in California support this bill. Both California’s emissions cap and trade program and its clean vehicles program set up conditions and incentives to encourage private sector investment in developing technologies to answer the problem. Incentives also exist for renewable energy use and deployment. In that way, the state policies help create “demand” for these technologies – even before the technologies are developed. Then innovators get to work on solutions because they know there will be a market of buyers. It has worked well so far. Market based policy incentives for renewable energy, clean cars and reducing smokestack emissions are attributed with helping draw $56.9 billion in clean tech investment to this state in 2017 alone and similar amounts in several previous years. 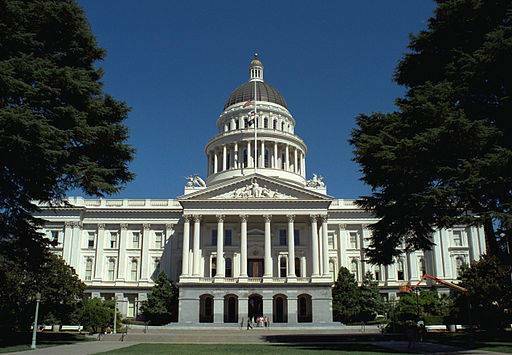 These bills make use of the fact that the California Energy Commission already updates the state’s energy efficiency building codes for new and retrofitted buildings every three years. It expands their efforts, asking them to assess the potential for reducing buildings’ emissions from natural gas and propane, both in new and existing buildings. With climate change continuing to show its wrath and businesses and individuals favoring policies to stem global warming, California upped its ambition two years ago on cutting greenhouse gases: setting a target of 40 percent reduction from 1990 levels by 2030 and aiming for an 80 percent reduction by the turn of the century, or 2050. Getting there - and preventing catastrophic levels of climate change for the next generation - will require addressing all sources. Passage of the building decarbonization bills will be key piece in meeting this important goal. Kirsten James is Director, California Policy, for Ceres.